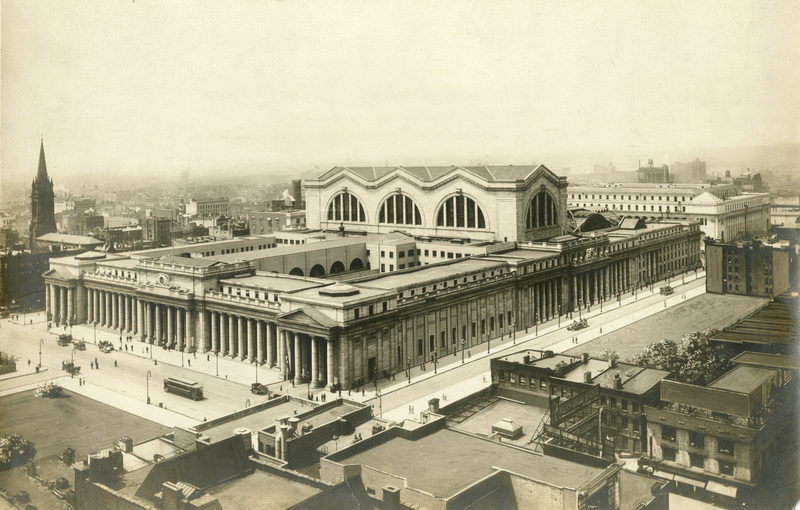 Commissioned by Pennsylvania Railroad President Alexander Cassatt (1899-1906), New York's Pennsylvania Station was the world's largest railroad terminal when it opened in 1910. Sprawling over 8 acres in the heart of Manhattan, its 277-foot long waiting room had 150-foot ceilings. But it was not to last. The PRR demolished the station in 1963 to make way for the new Madison Square Garden. Public outrage at its destruction was critical to passage of the nation's first historic preservation laws.